Rare Book School (RBS) is an independent, non-profit and tax-exempt institute supporting the study of the history of books and printing and related subjects, governed by its own board of directors. Founded in 1983, it moved to its present home at the University of Virginia in 1992. At various times during the year, RBS offers about 30 five-day, non-credit courses on topics concerning old and rare books, manuscripts, and special collections. The majority of courses take place in Charlottesville, but courses are also offered in New York City, Baltimore, Philadelphia, New Haven, and Washington, DC. Most Rare Book School courses are limited to twelve or fewer students, who make a full-time commitment to any course they attend, from 8:30 or 9 am through 5 pm, Monday–Friday; most students also attend an orientation or welcome dinner on the Sunday evening before their first class on Monday. In addition to the formal daytime classes, there is an optional early evening public lecture (usually on Monday night), and (especially in Charlottesville) other bookish events throughout the week of the RBS session. Applications for Rare Book School courses are considered on a rolling basis until a course has reached enrollment capacity. Course applications for summer sessions are available beginning in early January of each year. To be considered for the first round of admissions decisions, submit your application for summer courses by 20 February. Applications for fall courses will be available in May. To be considered for the first round of admissions decisions for fall courses, submit your application by 1 July. If you have further questions, or were unable to log into myRBS, please write Rare Book School, PO Box 400103, University of Virginia, Charlottesville, VA 22904-4103; fax 434-924-8824; or telephone 434-924-8851. 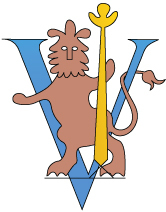 The RBS lion logo (derived from an early c19 English watermark, but with many Continental ancestors) made its first appearance on an RBS publication in 1984. Over the years, RBS has continued to expand its operations and deepen its mission with respect to the study, care, and management of print-related technologies and cultures. In 1999, RBS received its first major bequest when Robert Dougan left RBS $50,000 in his will; this gift allowed the School to establish an endowment. In the following year, RBS created its first scholarship program with contributions given to it in memory of a beloved summer staff member, James Davis, who unexpectedly died in February 2000 and who continues to be missed by the school’s faculty and staff. Meanwhile, books, prints, and other in-kind gifts continued to arrive. RBS hired its first curator, John Buchtel, in 2001, to care for and manage its growing teaching collections. As the School’s resources expanded, RBS sought charitable non-profit status; in 2002, RBS received 501(c)(3) designation from the Internal Revenue Service, enabling its Board of Directors to assume direct ownership of and responsibility for the School’s assets, which had previously been held in trust for RBS by UVA’s tax-exempt Virginia Fund. Over time, it became increasingly clear that RBS was not just a collection of non-credit courses on bookish and bibliographical subjects, but the mainstay of bibliographical education in the United States and the English-speaking world. In 2004, an Association of Research Libraries (ARL) task force singled out RBS in its report as “providing an essential service” to the profession of librarianship: “Rare Book School has become the leading program in the country for training new rare books librarians and furthering the continuing education of experienced practitioners.” Schools designed on the RBS model began to appear in 2001 with the Book History Workshop in Lyons, France, followed by the Australasian RBS (2005) and—thanks to generous funding from the federal Institute of Museum and Library Services and the California-based Ahmanson Foundation—California Rare Book School, which began in August 2006. The first London Rare Books School ran in July 2007, a series of four-day, intensive courses on a variety of book-related subjects taught by internationally-known scholars associated with the Institute’s Centre for Manuscript and Print Studies, using the library and museum resources of London. In 2005, RBS’s own course venues expanded to include the Morgan Library & Museum and the Grolier Club in New York City, the Walters Art Museum in Baltimore, and the Freer-Sackler Galleries at the Smithsonian Institution in Washington, DC. This expansion in programming was indirectly supported through the Institute of Museum and Library Services (IMLS), which, in May 2005, granted RBS $122,250 to underwrite about 150 full-tuition scholarships, to be awarded approximately 50 per year for each of the following three years. The grant provided by imls allowed an unprecedented number of those new to the fields of rare books and librarianship to continue their professional training by attending RBS. That same year, under the leadership of its first Chair, Hans Tausig, the RBS Board began a fundraising campaign to increase its endowment. The following year, in June 2006, the School was awarded a $1 million 3-to-1 match Challenge Grant by the National Endowment for the Humanities, which provided RBS with $333,333 towards its endowment. The School was able to meet the grant, in part owing to the bequest of its dear friend and great benefactress, Mary Ann O’Brian Malkin. RBS’s founding director, Terry Belanger, won a $500,000 MacArthur Grant in 2005—much of which he also contributed towards the School and its endowment. Most recently, in 2009 the School’s friends, faculty, and alumni generously gave more than $110,000 for the establishment of a Directors’ Scholarship Fund to honor Belanger, who stepped down as the School’s director in August of 2009, and to mark the arrival of his successor, Michael F. Suarez, S.J. As the School’s mission has expanded, so has its staff. The School’s full-time employees include Danielle Culpepper, the School’s administrator; Barbara Heritage, who serves as assistant director and curator of collections; Amanda Nelsen, who was hired in the spring of 2010 as program director; and Megan Gildea, who joined RBS in 2010 as its development director. In January of 2012, Donna Sy started work as RBS’s first program manager for special projects. Tess Goodman was appointed the first assistant curator of collections in the summer of 2013, and Jeremy Dibbell joined the staff as director of communications and outreach in September of 2013. The RBS staff is well poised to meet the School’s goals for implementing its mission of education, advocacy, and outreach.